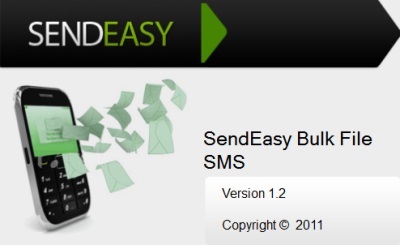 • To be able to send SMS's to your customers on the RAPS database you must register an account on the SendEasy web site by visiting http://www.sendeasy.co.za . When there click onto the Register link at the top right of the page. • Once registered send an email to support@sendeasy.co.za to setup your API account for the RAPS software and include the following information: email address used upon registration and the usage: (running with the RAPS application). • A reply to your email will be sent to you detailing the API credentials: your API Sms User name and SMS User password that will be used in the RAPS SMS setup that follows. • Contact tel:+27 (0)11 781-0480 contact persons: Andrew, Grant or Mathew. Also support@netgen.co.za. • Extract the downloaded zip file to a folder location on your hard drive. • Double click onto the setup.exe file to begin installation and follow the prompts in the installation wizard until setup is complete. 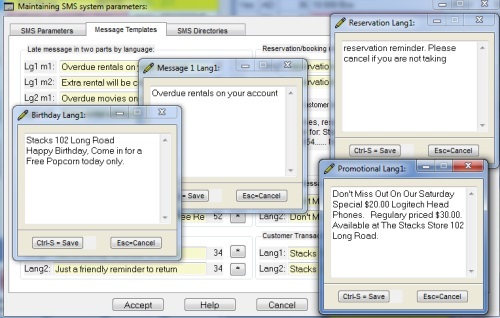 • Click onto the Tools Selection->SMS Subsystem->Maintain SMS parameters from the main RAPS menu. • On the SMS Parameters tab change the Sms User name and SMS User password to the username and password sent in the API credentials email. • Login to your SendEasy account at http://www.sendeasy.co.za using the email address and password supplied during registration. • Click onto the Buy Credits button at the top of the page and follow the on screen prompts to purchase SMS credits. 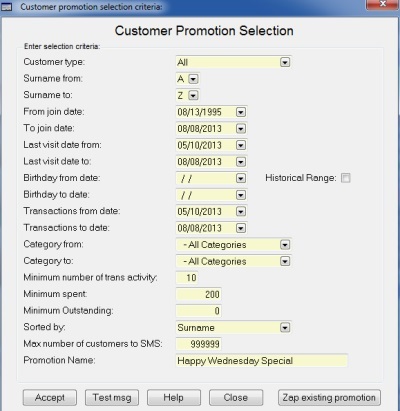 • Target customers for promotions using the RAPS promotional extract engine. © Software Clinic 2016. All rights reserved.